Made primarily of butter and brown sugar, Butterscotch can be used for a variety of treats. The butterscotch eclairs with a plaid design are super creative and would be fantastic as a party snack. Similar to toffee with a honey color, butterscotch can be devoured as a syrup or a hard candy. October is the perfect time to whip up some butterscotch desserts and candies since it’s the designated candy month (okay, maybe that’s every month). 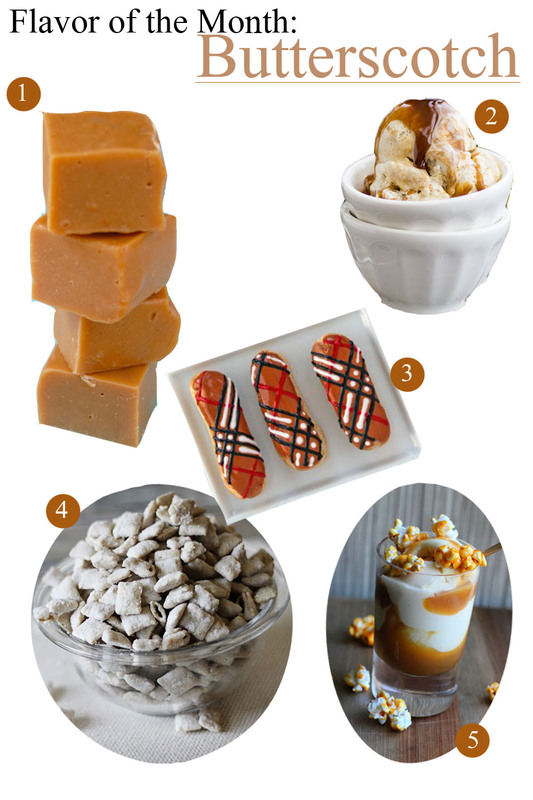 But, you won’t go wrong with making butterscotch goodies for trick-or-treaters this coming Halloween. Make your autumn even more special with this sweet flavor, and since it’s simple to make as a syrup, you can pair it with pretty much anything. Nothing wrong with a little butterscotch on butterscotch! Earlier this month when I was visiting Nebraska, I found myself driving past miles and miles of cornfields. I had never seen so much corn in my entire life. 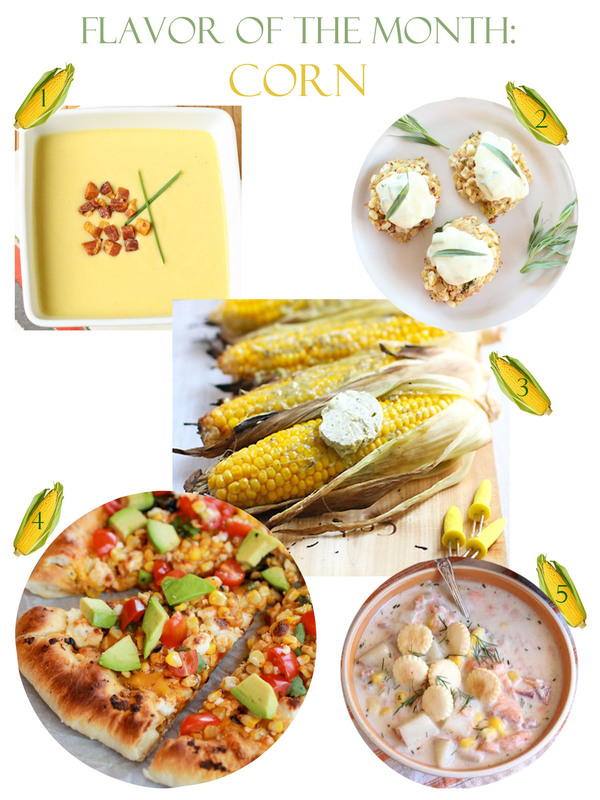 Since I couldn’t escape the cornfields, I started daydreaming about all of the different ways to use corn in recipes. September’s Flavor of the Month is inspired by those daydreams. The Smoked Salmon Corn Chowder and Grilled Corn with Za’atar Garlic Butter are at the top of my list. Plums are not a consistent part of my diet so it is easy for me to forget about how delicious they can be when they are ripe and in-season. The great thing about plums is that they can be both sweet and tart, providing a variety of flavors for your taste buds. The benefits from eating plums are awesome – plums help manage high blood pressure, lower blood sugar, and improves bone health, to name a few. 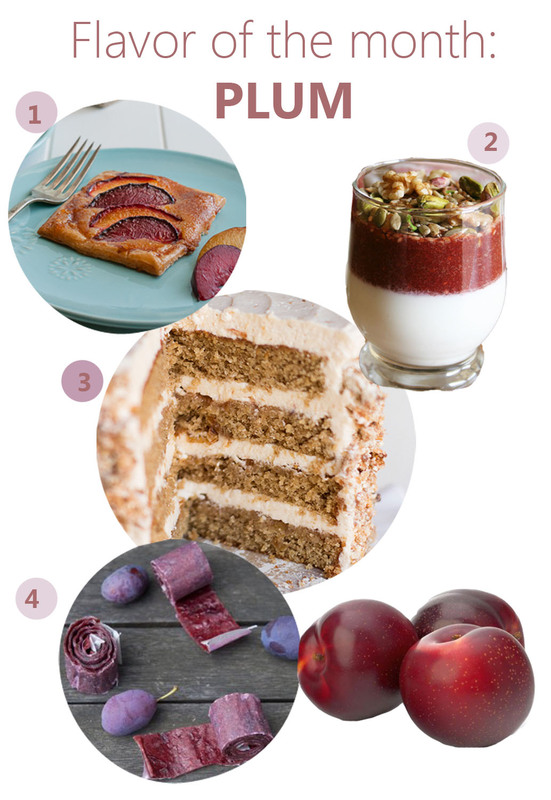 These plum recipes are for both the sweet and sour lovers, so whether you are a fan of sweet dried fruit leathers or fruit tarts that have a bit of a tangy kick, August’s Flavor of the Month has you covered. What better way to celebrate the 4th of July than with ripe red cherries? And I’m not talking about those neon red Maraschino cherries. Not only are fresh cherries a perfect tasty summer fruit, but they are filled with antioxidants, contain melatonin, aid in brain health, and are a good source of fiber. With the stems and pits, cherries are certainly not the most glamorous fruit to eat. For these recipes, it may take some time to pit the cherries, but the end result will be worth the hassle. When you’re watching the fireworks on Thursday, do so while enjoying one of these treats. I’ve already cut into my first watermelon of the season, which in my book means it is officially summer. While I am quick to just grab a few slices to enjoy, I have to remind myself that there are so many great things to do with watermelon. 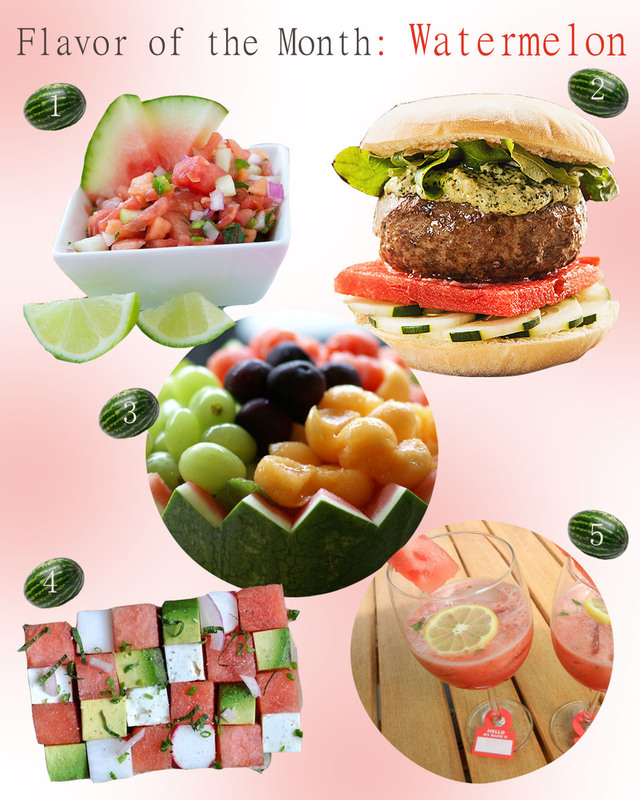 Whether it is squeezing fresh watermelon juice, making it into a salad, including it in a juicy burger, or even using the watermelon shell as a bowl, watermelon is a diverse fruit with a sweet taste. 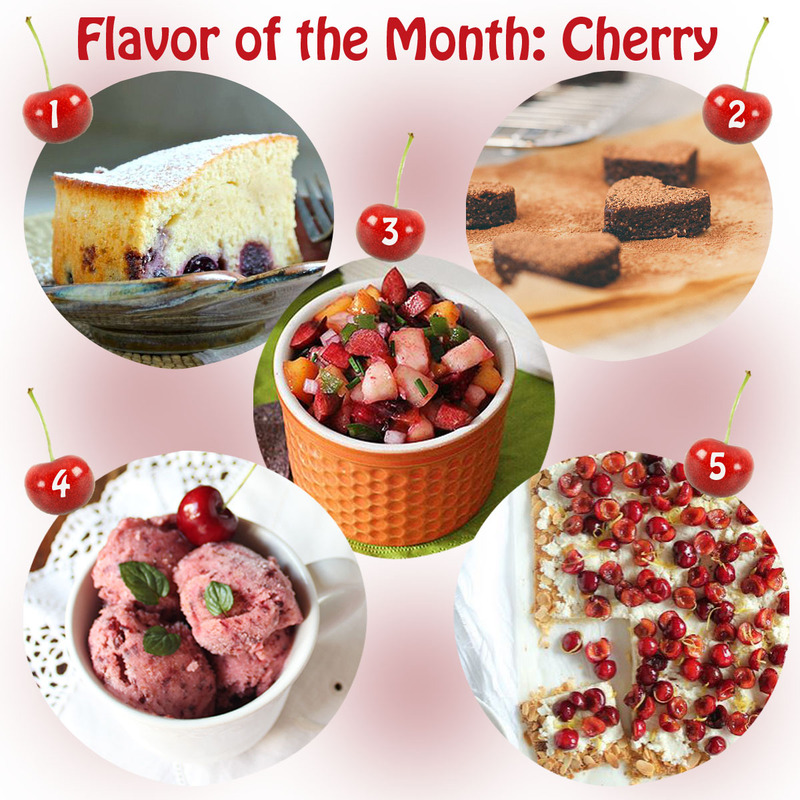 To usher in the summer, include June’s flavor of the month into as many recipes as you can for a healthy and fruity twist. I tried an iced chai latte for the first time in October. 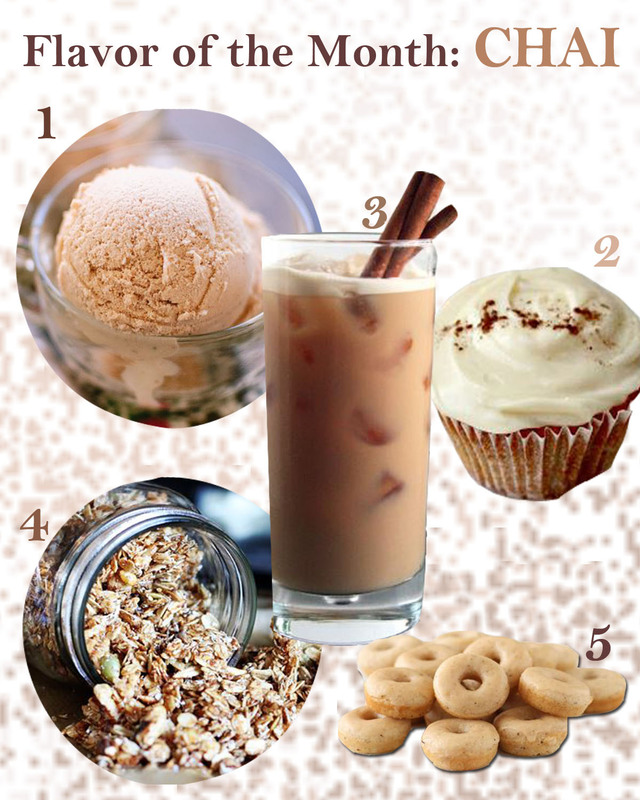 It has now grown to be one of my favorite drinks, and even though it reminds me of fall, when it is iced or mixed into donuts, granola, or cupcakes, I find that it transitions quite well into the spring and summer. Chai is one of those ingredients that never goes out of season. What’s great about chai is that you can make it mild or strong, and that kind of flexibility is convenient for when you want to try recipes over and over. Mild chai ice cream one day, strong chai ice cream the next. A blend of tea, herbs, and spices, chai is a unique flavor that will soon become a favorite, no matter what you put it in. Limes are an interesting fruit because they aren’t necessarily meant to be eaten by itself like an apple or a pear. Like a lemon, lime is zesty and refreshing, and it is an important ingredient in food and drink recipes such as guacamole and margaritas. 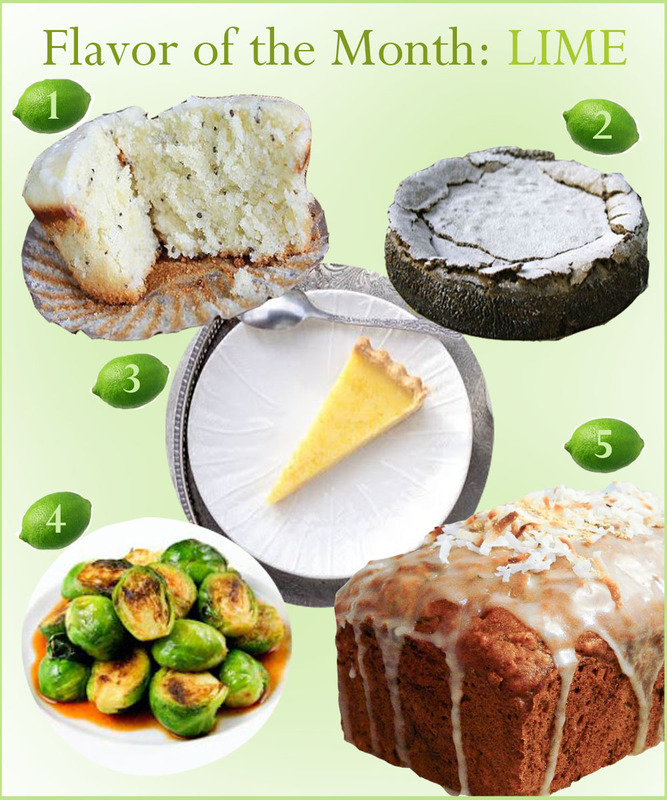 However, lime is unique because you commonly use it by the teaspoon or tablespoon, yet it provides a subtle kick to the dish you are making. A popular ingredient during the spring and summer, lime is incredibly versatile and can be used in a surprising amount of dishes you wouldn’t normally expect it to work with, like chocolate or zucchini and coconut bread. This month, let’s try incorporating lime into more of our recipes for an unexpected citrus flavor.